WelCom July 2017: This month, WelCom’s journey of faith – hi hikoi whakapono – visits the Tararua Pastoral Area, which covers a diverse grouping of smaller rural communities in the productive farmland of the lower North Island of Aotearoa New Zealand. The area borders the Hawke’s Bay, Whanganui/Manawatu and Wairarapa regions. The western boundary of the Tararua Parishes are the Ruahine and Tararua Mountains, and the eastern boundary is the Pacific Ocean. 1898: Dannevirke and Ormondville parish formed. First mission held. 1899: Fr Thomas Cahill appointed parish priest. 1900: 38 candidates for first Confirmation. 1902: Section purchased for presbytery and convent. 1883: Mr S Johnson gifts acre section at Woodville for Catholic Church. 1886: Bishop Redwood opens new church, St Columbkille (Dove of the Church – Gaelic). First Mass celebrated. 1894: Becomes part of St Brigid’s parish Pahiatua. 1894: St Brigid’s parish established. 1894: Fr J McKenna appointed first parish priest. 1919: St Anthony’s School opening. 1896: Chief Nireaha Tamaki gifts land for a church hall. 1898: Sacred Heart Church opens in Bridge St.
1900s: Eketahuna and Hamua come under Masterton parish. 1906: Our Lady of Mt Carmel Church built by Chief Nireaha Tamaki opened at Hamua (now closed). 1935: Our Lady of the Rosary Church opened at Pongaroa. 1984: Eketahuna becomes part of Pahiatua parish with Woodville. As parish administrator, I am privileged to serve the diverse communities of the pastoral area. Each of the parishes has its own unique flavour: from mild and understated in Eketahuna to bright and active in Dannevirke. Each community has its history, and is proud of its ability to maintain itself even as the population has migrated to other areas of the world. As with many rural locations and parishes, we face our challenges. Perhaps the greatest has been the decline in family activity in our parishes as western culture has re-oriented its values. Significantly, many of our young people head off to boarding schools, tertiary institutions in other parts of the country, or they have moved away for career opportunities in other places and nations. 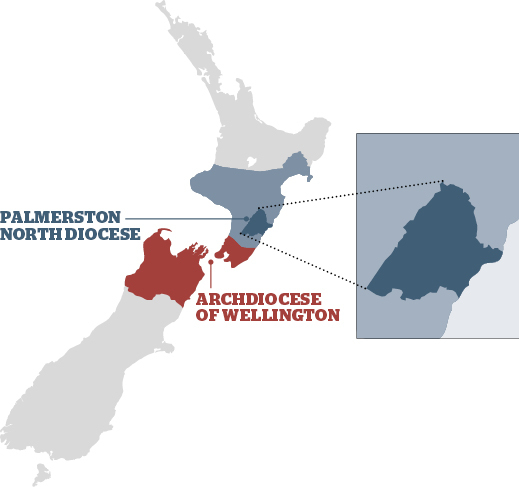 This is not to say we are devoid of active families in our parishes – we enjoy the faith and friendship of many families, and have recently seen a small uptick in younger families returning to the parish of their ancestors or who are relocating, especially in Dannevirke, from more expensive locations around New Zealand. We are lucky to have a strong contingent of young people who attend the Life Teen summer camp, and our ‘seasoned’ citizens are very generous and supportive of our young people in their quest to deepen their faith. And for that, all of us thank God. Coming from the desert climate of the American Southwest, yet experiencing the diversity of landscape and culture of America, being in Aotearoa has afforded me the opportunity to engage with the cultures of the Pacific. I have been graced with a fabulous Māori mentor in Dannevirke, Mrs Eva Wright, who patiently helps me with Te Reo, guides me with protocol on the marae, and graces me with her incredible spirituality, generous heart for all people, and her invaluable friendship. 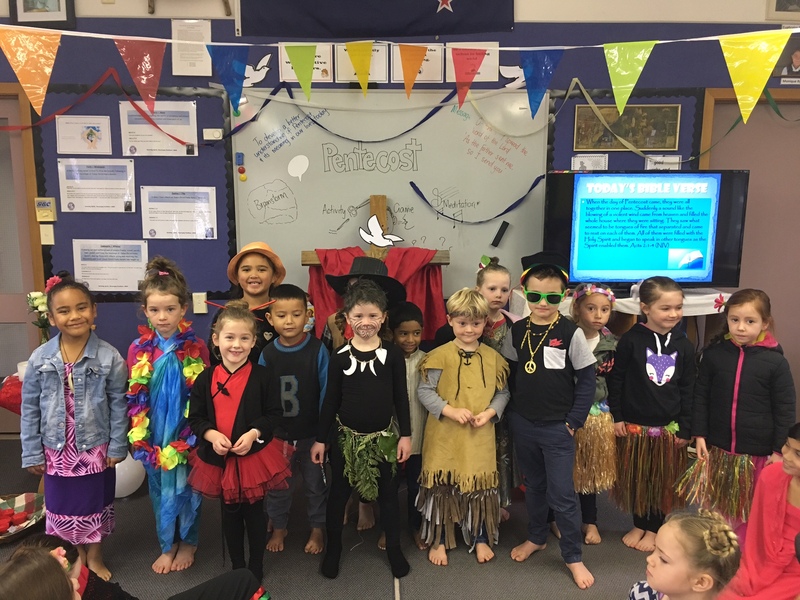 Our schools of St Joseph’s, Dannevirke, and St Anthony’s, Pahiatua, continue to be a source of pleasure – the willingness to engage in faith, energy, and talent of the young people in the schools is amazing. The Catholic character is alive and well in both schools, and it is in no small part due to the leadership of the principals, educators, and the Board of Trustees, who care for their students not only in learning the required subjects, but in nurturing and developing the spiritual within each child. 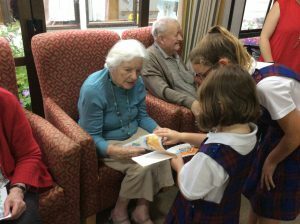 As part of the legacy of the schools, two nuns who have given so much to the schools are still in the parishes – Sr Rita Snelgard, St Joseph’s, and Sr Helena Fouhy, St Brigid’s. Two of our parishes, St Joseph’s and St Brigid’s, are in the process of updating the church buildings to better fit the needs of the parish and to prepare them for the future. 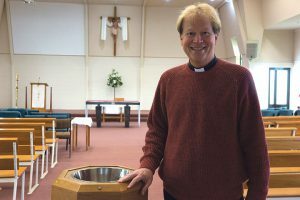 While we cannot know what the future will bring, we can rest assured we are in the care of our Lord and Saviour, and we pray that we may continue to serve Him by serving others in our parishes and communities. May God continue to bless us all. ‘Patriarch’ Peter Barrow sits with three generations of the Barrow family. 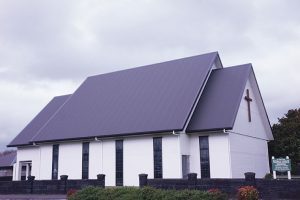 St Joseph’s parish in Dannevirke dates back 120 years. There are many families in our parish with family ties to those beginning days. The Barrow family, now in its fifth generation of participation in Tararua parishes, has been graced with some special gifts. Through an earnest plea for prayer of our forebears, we have been entrusted with relics of St Mark the evangelist and St Urban, Pope and martyr. Its history with us began in 1930 when our grandmother’s oldest son was born with cretinism. We think she wrote requesting prayers from a monastery in Mt St Joseph Abbey, Rosecrae, Ireland, where her cousin was in residence. This would have been a desperate call by our grandmother. At that time children born with such conditions were often hidden away from society. Her cousin then gifted to her the relics calling them his ‘choicest treasures’. The generosity of her cousin was not only to her but was also gifted ‘… to be exposed publicly for the veneration of the faithful in other houses and in any Church, Oratory or Chapel’. The relics are documented and contained within a sealed vessel and the Latin transcript translated into English by the late Fr John Kelly at Southern Star Abbey, Kopua. We are honoured to have these relics, and have displayed them in our church on the Feast of St Mark. 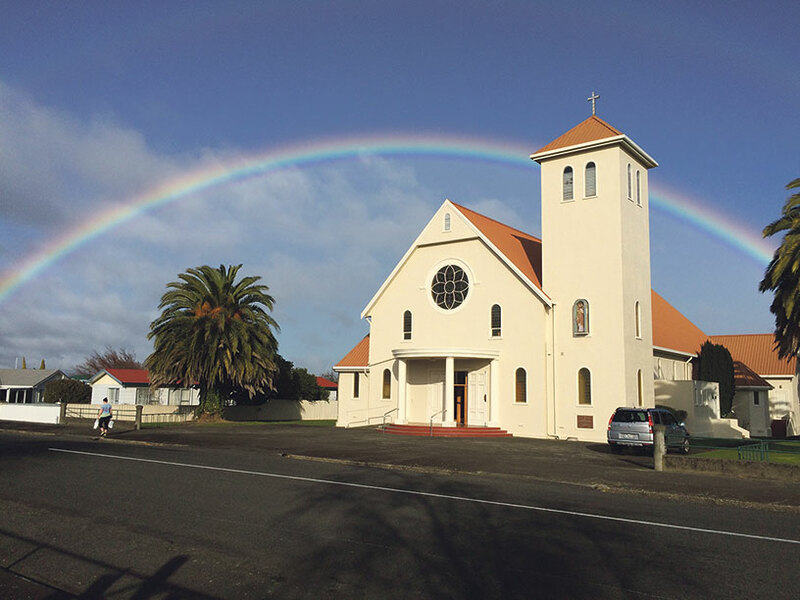 Our parish was founded on 1 January 1893 and continues to be welcoming and caring serving the town of Dannevirke and surrounding areas up to Norsewood and east to Pongaroa. Our parishioners are always supportive of one another. We care for our parishioners and residents in two rest homes as well as several who are homebound, ministering to them with Holy Communion and friendship. We have a wonderful adult and young-adult learning programme. Currently the professionally-done SYMBOLON series has been offered with great discussion and hospitality after the meetings. We also have a weekly meditation group (see page 12) and a men’s group; and our women’s group meets for friendship and tea. Our talented musicians are led by Dorothy Prenter, Michael Harold, and Heo Kelemete, with a mix of young and adult accompanying the leaders to bring additional beauty to the liturgy. St Joseph’s School and the parish have a good relationship, and encourage each other with great support from the principal and teachers to bring the students and their parents to participate in the Sacraments. We are very fortunate to have Fr Bryan Buenger. His reverence and spirituality has brought back a new awareness and energy to us as Catholics for our Saviour Jesus Christ. We are blessed to have our beautiful church in Dannevirke – it has a long history, a respectful area of prominence for Our Lord, and is a place where parishioners can catch up with each other in a warm and inviting gathering space. We pray always to stay strong in our faith and to continue to support one another in our growing community of faithful. All are welcome to join us! Who we are is how we lead. My faith shapes my values and in turn shapes how I lead. I believe that in politics, honesty and integrity are essential. A belief in doing the right thing and working together for the benefit of all people. My strengths lie in a desire for fairness, treating others as you would wish others to treat you. Forgiveness of self and others enables me to more forward without bearing grudges. I lead because I have a great love for all people. Having faith means I measure success in a different way. This may be helping someone in need rather than larger projects. At the end of each day being grateful for the opportunities and taking the time to enjoy the beauty of the world given to us. I always give thanks for the love of my husband and family. He aha te mea nui o tea o? He tangata, he tangata, he tangata. 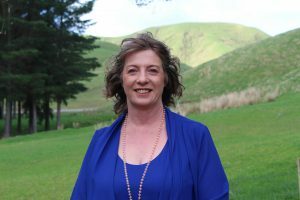 Tracy Collis is Mayor of Tararua District Council and a parishioner of St Brigid’s Pahiatua. October 1944, three trains pulled in to Pahiatua Railway Station and 733 Polish children and their 105 helpers disembarked. All in khaki clothes, all brown from the sea voyage through the tropics. Then into army trucks to their new home – the Pahiatua Polish Children’s camp, just 2 kms south of Pahiatua, on State Highway 2. It had been a long time since the Russians wrenched them from their homes in Poland and sent them to cruel labour camps in Siberia, where their parents worked in the mines, forests and factories. Many died before Hitler declared war on Russia and the Polish were allowed to leave Siberia to head south to Iran where the Shah gave them shelter. When New Zealand’s Prime Minister Peter Fraser offered sanctuary for some, these 733 children sailed to Wellington, to Pahiatua and a new life, far from war and hunger. It was their ‘Little Poland’ until 1949. As the children progressed to secondary schools, they left the security and fellowship of the camp and became boarders at Catholic Colleges around New Zealand. Some were homesick and lonely at first, but as they mastered English they became happy, law-abiding and hard-working citizens, although always conscious of their Polish roots and strongly Catholic. 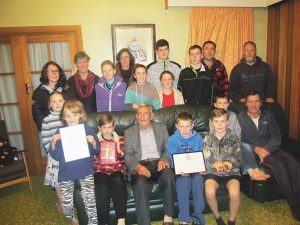 Though now dispersed throughout New Zealand, there are still many ‘Children’ and their children, who return to Pahiatua on anniversaries: 25th in 1969; 50th in 1994; and 70th in 2014. (The moving video of the 70th reunion may be viewed online at: tinyurl.com/PolishChildrenPahiatua). Army trucks led Polish buses around the town past flag-waving children to the Town Hall for a wonderful welcome and lunch, visits to St Brigid’s Church, the museum, and at the site of the camp, Tanya Ashkin’s wonderful sculpture. The Pahiatua Museum has a Polish room with a table-sized model of the camp and memorabilia on every wall. Top Shelf Production’s TV series Heritage Rescue featuring the museum will be shown soon on Choice TV. And ‘Our Lady of Czestochowa’ looks after St Brigid’s parish. What is it that makes a happy Vinnies shop? It’s not always the provision of food, clothing, and money for the needy and tragic events that we get, but our customers want to just stop in and have a chat and a laugh. We are known as that ‘Happy Shop’. 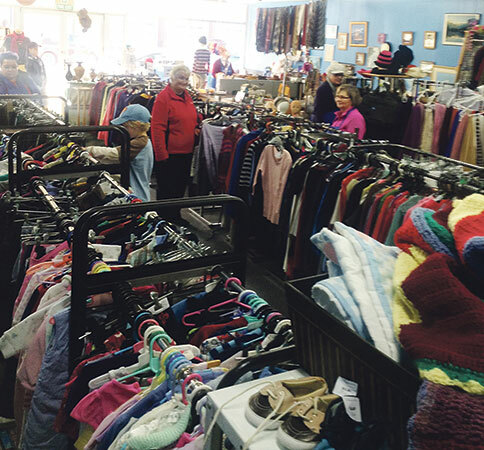 Those who volunteer in our shop excel at this – we often have people passing the time of day with great banter. We receive ‘over the top’ support from our parish, St Joseph’s School, and the community – and we are so grateful for that all of it. Our conference is led by Francie Walshe, president, and Nancy Waayer, secretary. Over the last three years, we have had a 50 per cent increase in conference numbers – volunteers who make and want to make a difference. If you’re passing through Dannevirke, drop in! 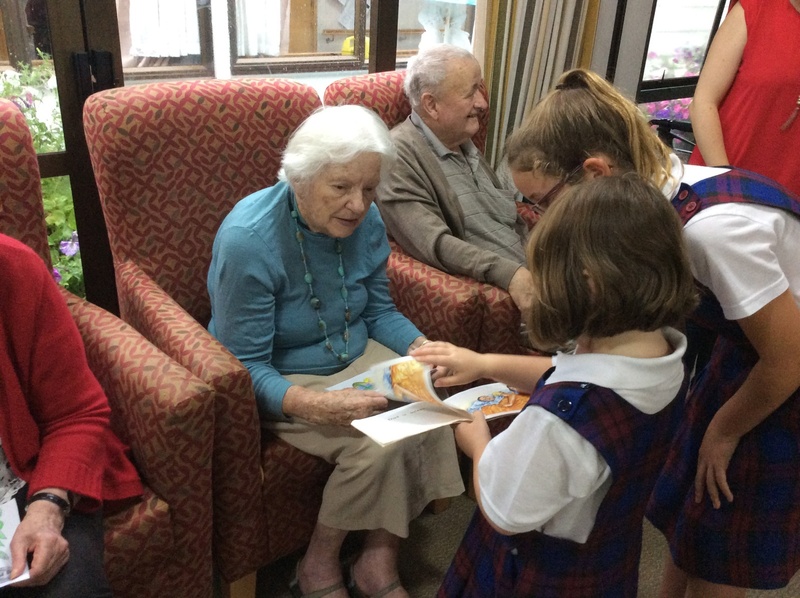 Reading to residents at Waireka Home in Pahiatua. At St Anthony’s School Pahiatua, we feel extremely blessed and privileged to walk in the footsteps of our founding Order, the Brigidine Sisters. We continue to be inspired by their example of ‘gentleness and strength’. Our School opened in 1906, and through incredible courage and fortitude, has continued to inspire faith-filled education to the beautiful children, and families, of Pahiatua. With 110 creative and engaged learners on the school roll, we are driven toward achieving our mission ‘to inspire, grow and celebrate, our children and our Catholic faith’. We encourage our children to arrive at school with open hearts, open minds and open eyes; allowing them to encounter Christ through the awe and wonder of the world around them. We work toward challenging our children to be active members of the wider community, through social action. They can often be found in the school garden, cooking in the kitchen, or supporting the Soup nights in our community. They know that as an ordinary person, they can make an extraordinary difference to others. We are more than a school…we are a family! Six pioneer Brigidines – Srs Patrick, Claver, Teresa, Gertrude, Brigid and Joseph. 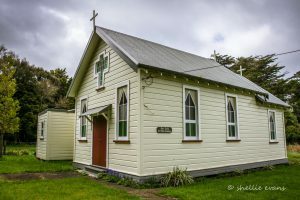 On 29 January 1906, Fr Tom McKenna parish priest of Pahiatua, vacated the presbytery to accommodate the four Brigidines he welcomed to open a Catholic school in Pahiatua. Srs Brigid Desmond and Margaret Mary from Masterton , and Srs de Sales Maher and Alphonsus Burke from NSW. The Church of England Mission Room, the only place available, was to be a ‘temporary’ school for 12 years. In all weather, the sisters walked the four blocks of rough road twice a day. The convent was opened in 1912 and in 1918 the new St Anthony’s school was built next door. It was blessed and opened, by Archbishop O’Shea on Sunday 27 April 1919. The sisters taught in the school and served the parish as sacristans caring for the sanctuary, altar, sacred vessels and vestments. They were the organists in charge of the choir. To support themselves, they taught music, elocution, and commercial subjects and were generously supported by the people. 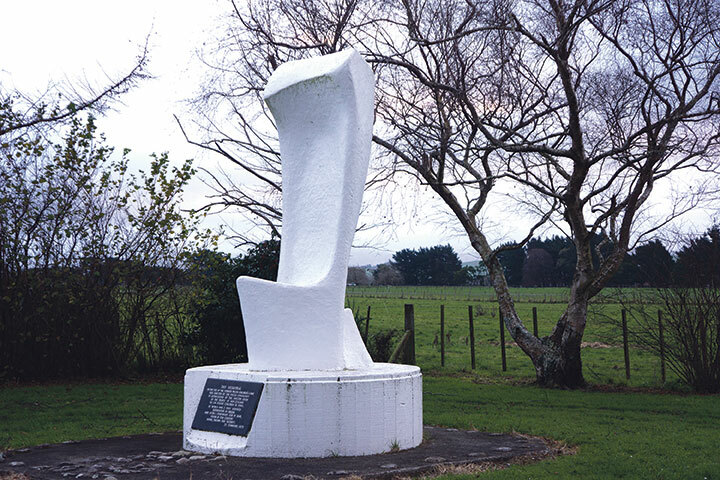 In 1988, the Brigidines withdrew from Pahiatua. 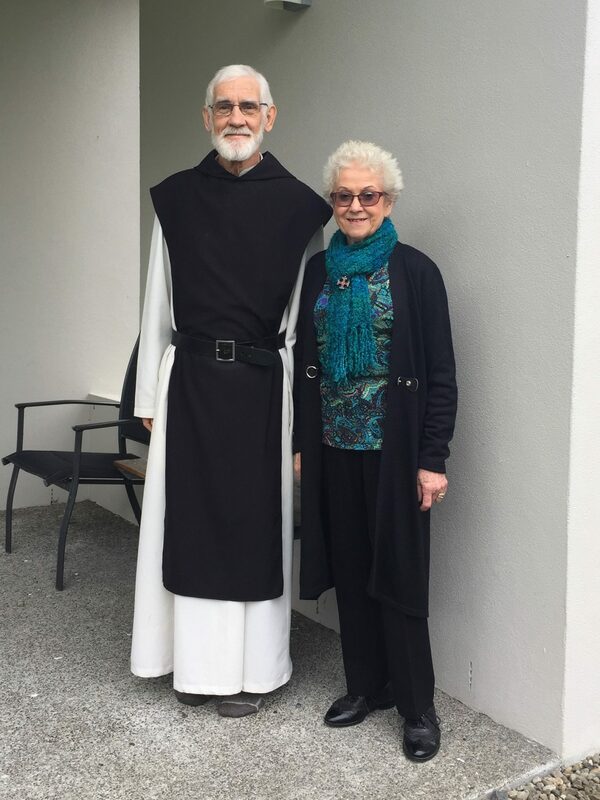 In 2008, Sr Helena Fouhy returned to Pahiatua; she is the daughter of an Irish settler, and an original of the parish. St Joseph’s is a year 1-8 Catholic primary school with 89 students. Our school and community live and teach the values of Jesus Christ through our general school programme, religious education and observances. We celebrate each term with a combined school and parish Mass and we welcome new families through pōwhiri. Classes also regularly attend weekday Masses. Our motto is AMDG, Ad Majorem Dei Gloriam, All for the Honour and the Glory of God. The school’s charism is drawn from our founders the Sisters of Our Lady of the Missions. We aim to provide students with knowledge, skills and values through a Catholic lens, to be successful citizens in the 21st century, with strong Catholic character and acknowledging the dignity of all of God’s creation. We believe in the nurturing of spirits and encouraging excellence in all curriculum areas, and a strong partnership with our parish, family/whānau and community. 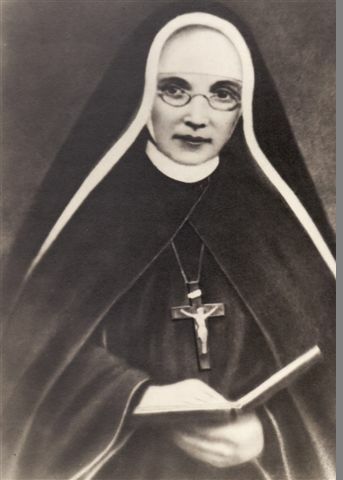 Euphasie Barbier – foundress of the sisters of Our Lady of Missions. 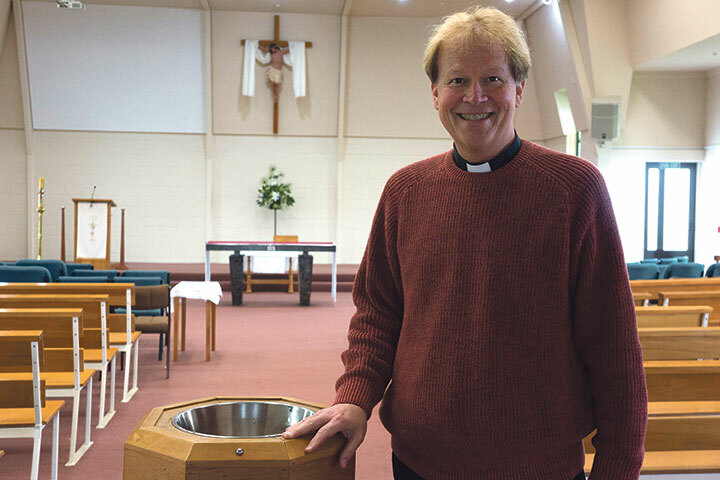 The beginnings of the 1900’s saw three religious congregations eyeing Dannevirke as a new foundation. A school was needed, and on 29 January 1910 four Sisters of Our Lady of the Missions arrived in Dannevirke. The convent, not yet ready for them, saw the sisters stay at the then newly-opened presbytery, with the priest taking a room at a hotel. St Joseph’s School opened a couple of days later. The sisters teaching role continued until Sr Teresa Galvin (Sr Bernard) left in 1992. From that time on, different ministries became parish oriented. The large, two-story brick convent was deemed an earthquake risk and in 1987 replaced by a house on the other side of Allardice St. A swimming pool and hall were built on the land where the convent once stood. St Joseph’s School still carries on the faith and educational aspects of those first and following sisters with the motto AMDG – Ad majorem Dei gloriam: .’ All for the honour and glory of God’ and devotion to St Joseph, still gracing the hearts and lives of all who have been educated at the school. Sr Rita still lives in Dannevirke and is a cherished member of the parish providing spiritual guidance, prayers, and friendship to parishioners and members of the wider community. Sacred Heart Parish, Eketahuna, started in 1898 was founded in 1920. Once quite vibrant, the town and parish have re-sized to the needs of the community. The parish has a Catholic devotional life and offers Service of the Word three Sundays during the month, with Mass on the 4th Sunday. 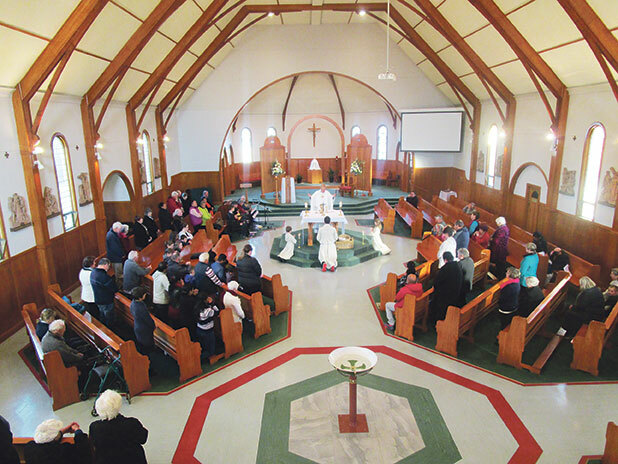 The community’s peaceful and welcoming atmosphere translates well to the parish – if passing through, stop by and visit our uniquely designed church. We would love to meet you and share a cuppa. 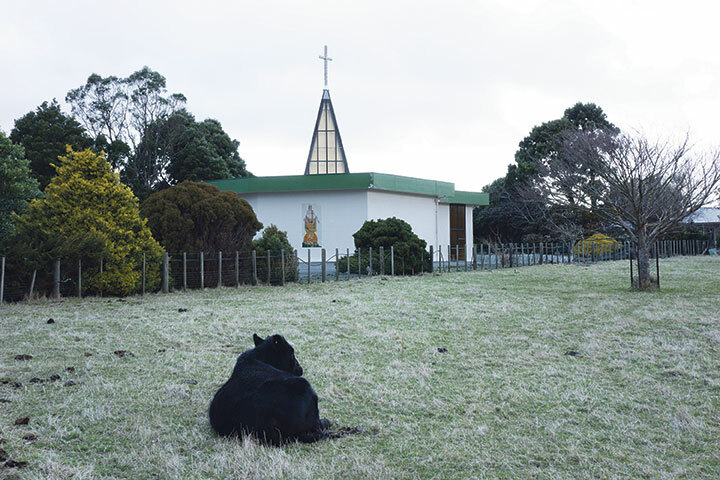 St Columbkille’s is the oldest Catholic community in the Tararua district. In 1883, a section was given for a church and after the bush was cleared, the church was built. Archbishop Redwood opened and dedicated it on 8 August 1886. Mr JJ Murphy, hotelier, Mr John Stephen Murray, farmer, and Mr Peters were the staunch supporters of this early church. Mr Murray’s descendants continue to worship at St Columbkille’s. Great grandson of JS Murray, Gerard Murray, recalls Mass as a child in the old church with girls on the left and boys on the right and a strict Brigidine nun behind the boys ready to poke them in the back if they wiggled or misbehaved! The altar servers were Gerard’s father, Albert (in his 40s) and Ossian Miller both of whom, at the time, Gerard considered ‘very old’ for this role! Today, we have an altar server who is in her mid 80s! If passing through Woodville on a Saturday night, you’re welcome to attend the Vigil Mass and friendly atmosphere at 6pm. St Brigid’s Care Group was established in 2011 at the request of the then parish priest, Fr Brian Walsh. The goal was to discern and respond to the needs of the parish, particularly the elderly, bereaved, or those at risk of being deprived. Activities have been wide-ranging including: delivering soup and baking for those who struggle to cook; delivering small Easter baskets to those on the fringes of the parish community, with an invitation to attend Easter Mass; luxury Christmas plates filled with festive treats for the elderly in our parish and wider community; a baby shower for immigrant mothers; and mid-year lunches and themed afternoon teas to give the elderly companionship and entertainment. Recently, the Care Group hosted a garden party to unite our parish and celebrate St Brigid’s Day. Fr John Pettit, ocso, and area coordinator, Shirley Duthie. In August 2011, Fr John Pettit from Southern Star Monastery in Kopua put a notice in St Joseph’s church bulletin asking for interested people to attend a meeting on meditation. Our first meeting was on 14 September 2011 among a group of 18 interested people. Fr John explained the benefits of meditation noting ‘the very ordinariness of daily meditation for 20 minutes reveals to us a new insight into the unity of creation and into the basic simplicity of life’.